In today’s digital world, everyone wants to keep secret their identity on the Internet for staying safe from prying eyes (hackers, stalkers, and cyber crooks etc). Generally, people use a highly strong password, two-factor authentication, limited use of public Wi-Fi, and many more things for protecting their online privacy. But they always forget to care about their IP Address and that’s a blunder in order to protect online privacy. If you are also not familiar with this truth then you need to know that your computer’s IP Address is the main source of disclosing your identity over the Internet. The IP address can easily describe in which place you are physically located, who you are, what ISP you are using, what computer programs you’re running, and much more. Are you feeling scared after knowing these things? Don’t be worried, a super solution called “Hide My IP” is available to perfectly help you in protecting your privacy online. Hide My IP is a secure proxy VPN software (award winning VPN tool) that helps you to hide your IP address and access blocked websites anonymously. The software is full with multifunctional features like changing your IP address, encrypting internet connection, sending anonymous email, enjoying private web surfing and accessing websites that are blocked etc. Along with the multi-features quality, Hide My IP VPN tool is also fairly compatible with multiple operating systems including Windows NT, Windows 2000, Windows XP, Windows Vista, Windows 7, Windows 8, Windows 8.1, Windows 10, Mac OS X 10.6-10.10 and Android version. Why Hide My IP is Special from Other VPN Tools? Multiple Operating Systems Support: There are lots of VPN tool available on the web that supports only one particular operating system. But Hide My IP is a secure proxy and VPN tool for Windows, Mac, and Android OS. So, simply use whatever OS you want to use. Multiple Web Browsers Support: Hide My IP supports not only one but all the popular and your favorite web browsers including Internet Explorer, Firefox, Google Chrome, Safari, Opera, Netscape and many more browsers. Only you have to click the Hide My IP button and it will instantly install a fake IP in your favorite web browser to offer you a private web surfing system. And when you will Stop Hiding IP then your Internet settings will be reverted back into your normal settings. Isn’t it a fascinating feature? Huge Collection of IP Locations: It is another interesting option of this VPN tool. Presently, Hide My IP offering more than 80 IP locations to choose from and enjoy anonymous web surfing. With such huge amount of IP locations, you haven’t to think too much before using them. Select whatever IP location you want and start surfing. Addition to these things, Hide My IP will protect all Internet traffic with 256-bit secure encryption with OpenVPN technology. 14 Days Free Trial: Most VPN providers do not have a free trial option. However, Hide My IP offers a free 14 day trial for Windows and Mac users which is really a profitable option for users to judge the software usefulness and features. The Hide My IP app for Android can be used forever without any limits or ads, but it has a limited number of IP locations. You can easily purchase a license for as low as $2.95 to use all the locations on Hide My IP for Android. Affordable Price (one-time payment): Hide My IP offers a one-time fee for the lifetime of service which is really an awesome discount for users. While, most of the other VPN providers offers you the option to pay each month or year and you cannot use their service again unless you pay again. Hide My IP can be purchased for as low as $2.95 USD for 1 month of full use including Premium Service on Google Play. 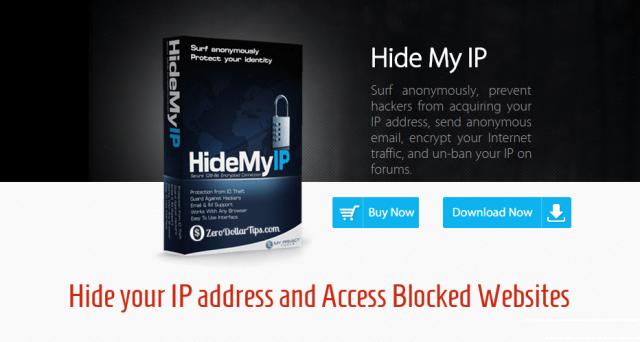 Hide My IP is normally a one-time payment of $29.95 USD and is cheaper than most VPN providers (about $30-$80/year). Supports Multiple Languages: Languages are one of the most important elements of every software or online tool and Hide My IP software really care about it. Currently, Hide My IP for Windows is available in over 24 languages and the Android version is available in 70 languages. So, you haven’t to be worried about your language in order to use this VPN tool on your Computer. The most interesting thing, you can also easily define which programs you want to hide their IP with (e.g. 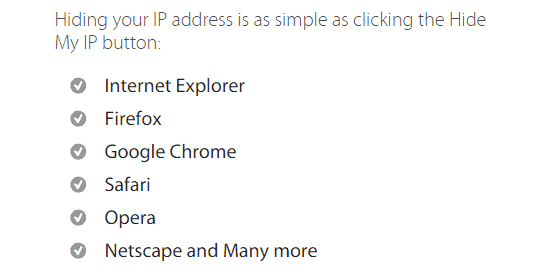 only web browsers) in the Windows edition of Hide My IP software. While, if you use other VPN tools then this option even does not exist and those tools will force you to hide your IP with all programs and you cannot choose any particular hiding option. Hide My IP is really a very simple and secure proxy VPN tool that comes with several of privacy protection features. The software is of very less size (2.90 MB) and doesn’t need any extra setup in order to use it on your PC for hiding your IP address and accessing blocked websites. Zerodollartips.com is offering you special discount of 10% off on the purchase of Hide My IP for Windows and Hide My IP for Mac. This special discount offer is only for a limited time, so please grab this discounted Hide My IP software as soon as possible. According to me, Hide My IP VPN tool is extremely needed software for all computers and android smartphone users who really want to protect their online privacy by changing their IP. It also works like a web proxy server to access blocked websites and enjoy private web surfing which is really a magnificent specialty. In simple words, Hide My IP tool is one of the most simple ways to conceal your identity on the Internet. A huge population of computer and mobile phone users are happily using Hide My IP to unblock websites like Netflix or YouTube if these websites that are blocked in their country or by their ISP. 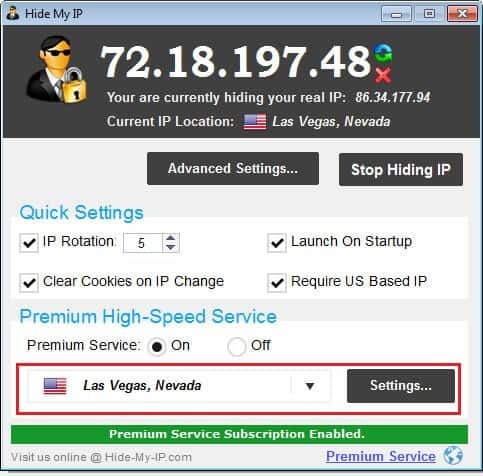 If you also want to prevent hackers from acquiring your IP address and unblock blocked websites then download Hide My IP VPN tool right now to use. Feel free to share your view with us through comments about the usefulness of Hide My IP proxy VPN software to hide your IP address and access blocked websites. We proxy is an easy and quick way to change your IP address. It’s extremely portable that you just need to enter a website address into a form, and it will return the web page to you. And the sites you visit will see the IP address of the proxy rather than your true IP address. Great Review Found, Thanks Friend. Hide-My-IP is really helpful in many cases. I’ll try to use this one. Now I have an alternative to my favorite tools TOR and “Proxylion”. Thanks for this alternative tool that I can use.